The truth behind the UFO enigma may be as close as your nearest video rental. My, how time flies! Last year we celebrated the fortieth anniversary of visionary director Steven Spielberg’s movie classic, Close Encounters of the Third Kind. Even in today’s digital age, one must admit that the technical quality and awe-inspiring story of the film still evoke a strong feeling that the government has been applying the “mushroom principle” with regards to disclosure concerning the real nature of the phantom objects and their mysterious occupants. In other words, all along the “powers-that-be” have treated the American people like mushrooms. 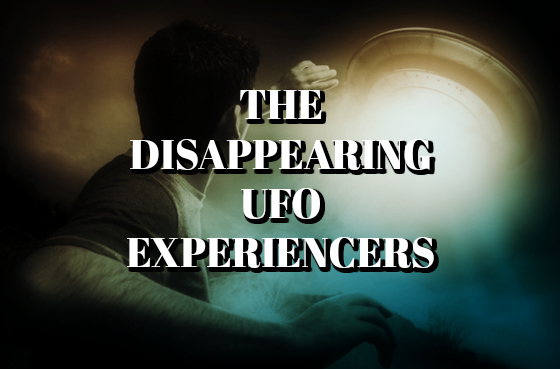 They continue to cultivate our minds and ways of thinking about the flying saucers by constantly keeping us in the dark and feeding us a lot of manure. The unusual circumstances surrounding the production of Close Encounters have led many to believe that the movie may have been portraying actual events. Replete with conspiracy theories surrounding it, freak storms, threats from the National Aeronautics and Space Administration and other government agencies against the producers and Columbia Pictures, it seems the truth may be far stranger than the science fiction that Close Encounters purportedly portrays. When Spielberg was a boy in elementary school back in New Jersey, his father took him outside one evening to watch a meteor shower. Ever since that fateful night, Spielberg wondered if there was anything else out there beyond some very remote twinkling stars and flickering orbs. In other words, he pondered the existence of life beyond the Earth. By 1964, at the age of 17, the aspiring Spielberg directed a low-budget science fiction film, Firelight, but it attracted little attention. However, by 1975 and the astounding success he had with Jaws, the world beat a path to his door and offers quickly piled up. This made it possible for the young director to make a big picture about any subject that he wanted to pursue. Naturally, he turned his attention to his first love of extraterrestrials visiting the Earth in their interplanetary spaceships. Spielberg wanted to create an informed movie about the reality of UFOs as piloted extraterrestrial spaceships. To this end, he hired Northwestern University astronomer, Dr. J. Allen Hynek, as his technical consultant. While most astronomers generally attract little notice, Hynek gained quite a reputation worldwide while serving in the capacity as a scientific advisor to the United States Air Force on UFOs from 1947-1969. Spielberg reasoned that if anyone knew the truth about the elusive flying saucers, it was Dr. J. Allen Hynek. In the most astounding of films, Close Encounters of the Third Kind reveals the existence of an ABOVE TOP SECRET interplanetary exchange program. In the last scenes, the moviegoer notes twelve highly trained people preparing to board the mothership as the extraterrestrials are releasing back to the custody of United States authorities sundry individuals from the past that had been abducted by them and allegedly transported to distant worlds in outer space. That this scene is in the movie causes one to speculate what Hynek must have told Spielberg about any real such projects undertaken by the United States government in the past. As the owner of five acres at Tee-Pee Ranch on Horse Mountain, outside of Datil, New Mexico, I can look down into the Plains of San Agustin and see the massive radio telescope array below. This is a site of the National Radio Observatory where the high resolution microwave survey of the universe is being conducted, and the radio astronomers search the heavens for distant signals from extraterrestrial civilizations. But fellow land owners and residents of Datil, Magdalena, Pie Town, Socorro and other small towns in the area have confided to me that sometime back in the mid-1960s there did, indeed, exist some kind of an ABOVE TOP SECRET exchange program of the United States government with the emissaries of another planet; and that the exchange took place on the Plains of San Agustin. Nelson tells us that PROJECT SERPO was not widely known until 2005, when a group of “former military insiders” testified that such an exchange actually did occur out in New Mexico. But Spielberg apparently knew all about it from Hynek back in 1977; and he customized his movie to match the real scenario. Wow! This movie has proven to be a thorn in the side for the National Aeronautics and Space Administration (NASA) ever since. Close Encounters opens with a scene where a group of five Grumman TBM Avenger torpedo bombers that had disappeared out over the Bermuda Triangle on 5 December 1945, suddenly reappear in perfect condition in the middle of a sandstorm on the Sonora desert in Northern Mexico, but minus their crews. The planes, collectively known as Flight 19, lost contact during a United States Navy overwater navigation training flight that deployed from the Fort Lauderdale, Florida, Naval Air Station. All fourteen of the Navy airmen on the planes were lost, along with thirteen crew members of a Martin PBM Mariner flying boat that followed up on the missing Avengers, being launched from the Banana River Naval Air Station on the same day. The Banana River station was also located in Florida and was turned over to the Air Force in 1948. It is now known as Patrick Air Force Base. Navy investigators have never been able to explain what happened to these planes or their respective crews. It’s interesting that Hynek did not object to Spielberg making the disappearance of Flight 19 the key element in his cinematic masterpiece. Recently on the Rense Radio website, I posted a series of photos taken by the prominent New Jersey photographic journalist, August C. Roberts, of those in attendance at a 13 July 1958 meeting of the Highbridge, New Jersey, Flying Saucer Club, where the famous contactee Howard Menger was presenting a lecture on his encounters with Venusians and other extraterrestrial visitors throughout his life, as well as some of his conjectures on the nature of various UFO events taking place around the world. All of these photographs included the official seal of August C. Roberts on the back side of each, together with his typed comments about who and what was depicted in each respective photograph. Along with the photographs, I posted an article written by August C. Roberts following the event, “The Val Thor Story,” that ultimately made its way to the files of comic book, science fiction and UFO writer, Otto Binder, who Roberts was co-producing a series of flying saucer books with. After the meeting ended, however, Roberts collected various pages of notes left by the mysterious Valiant Thor, who presented credentials as a South African journalist. Thor had written down the highlights of Menger’s lecture; and I published all of the pages with the exception of two, due to their sensitive nature, also on Jeff Rense’s site. There was one account in the notes that really caught my attention, however; and that concerned the disappearance of an entire Inuit village up in the far north of Canada. For a copy of the notes on Howard Menger’s discourse by Valiant Thor, please see http://rense.com/general96/valthornotes3.html. Flourish stroke across middle of page. It seems that back in November 1930, Joe Labelle, a fur trapper quite familiar with the Canadian North country, walked into an Inuit village on the edge of Lake Anjikuni. But this was unlike any other day that Labelle had experienced in this frozen land, for the entire village of Anjikuni had been suddenly and inexplicably abandoned by its inhabitants. To our neighbors to the North, this Inuit ghost settlement has earned itself the title of being the “Roswell of the North.” Labelle discovered a recently abandoned stew and piles of clothing. He also came across food stored in huts. This gave him every indication that the local inhabitants never intended to leave. And even more puzzling, as the fur trapper dug deep beneath the snow, he found a burial ground with disturbed and empty graves, along with a pack of buried sled dogs that appeared to have been starved to death. The Royal Canadian Mounted Police have continued their search for answers, up to this very day. Numerous Canadian ufologists attribute the sudden disappearance of the Inuit villagers to the reports of UFOs seen over Hudson Bay on the very night the First Nation peoples of Anjikuni vanished into thin air.